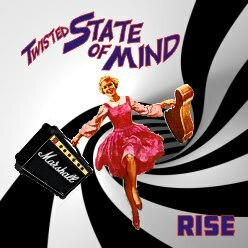 Twisted State of Mind are a young metal band from Witney in Oxfordshire. When I say young, I’m not kidding – they’re only 13 years old. To be honest I was a bit sceptical when given their EP to review – their young ages did make me wonder if they could really be any good. Well, after listening to the EP I have to say I’m pleasantly surprised. Musically it’s very good stuff – some nice heavy rock. The songs are well written and are well played. The only bit I have mixed views on are the vocals. The vocals are mainly singing with some growling, and are pretty good most of the time, but at times they do sound like what they are – a child singing. It’s a great debut release, and I’m sure that as they get more experience then they’ll keep getting better.